When the veggie burger craving strikes, it hits hard and fierce. 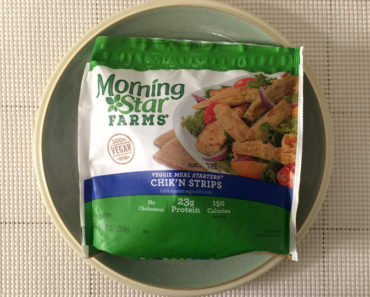 We were really feeling that when we picked up Morningstar Farms’ Grillers Prime Veggie Burgers. 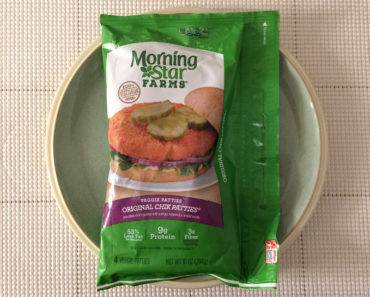 The package claims these come from “America’s #1 veggie burger brand,” so we decided to put that claim to the test. 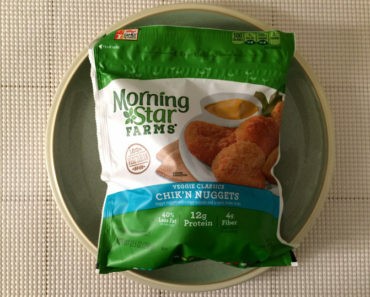 Now, we’re not new to Morningstar Farms’ line of frozen food; we find their fake chicken nuggets to be quite lovely, and we’ve had many of their other veggie burger varieties. But this is our first time trying this particular flavor of veggie burger. These appear to be an upgraded version of the Grillers Classic Veggie Burgers. As the name implies, these are designed for grilling. However, we decided to cook them in our usual way: we put some vegetable oil in a pan and fried these up for a few minutes per side. 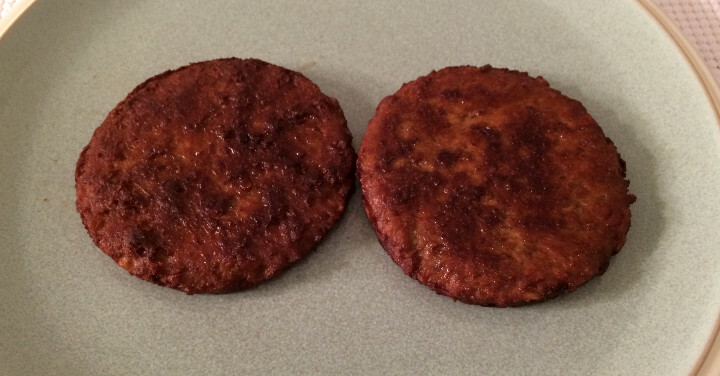 That means our patties ended up greasier than what you’d end up with if you flame-grilled these. While some veggie burgers get really creative with their ingredients, incorporating things like mushrooms and walnuts, these ones play it pretty safe. 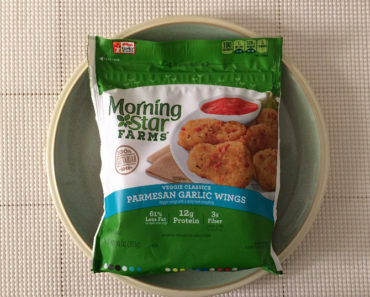 You’ll find the usual suspects of wheat gluten and soy protein. And that means these taste much closer to what you’d expect from a veggie burger rather than something like a black bean burger, which has a bit more of a southwestern vibe. These also have a smokey, slightly charred flavor to them, which lends the illusion of authenticity. The texture is similar to that of a real beef patty, which is something many of the other veggie burgers we’ve tried have lacked. No, your carnivorous friends will not be fooled if they inspect these closely, but these are still a pretty good vegetarian substitute for a real burger. A single burger patty contains about 150 calories and 400 mg of sodium. That’s not bad for a meal, but when you eat more than one at a time and start adding toppings, those calories start adding up pretty fast. And what would a veggie burger be without the fixings? We added lettuce, tomato, mayo, ketchup, mustard, and some cheddar cheese. Oh, and we used brioche burger buns from St. Pierre bakery for a real gourmet-style bun. 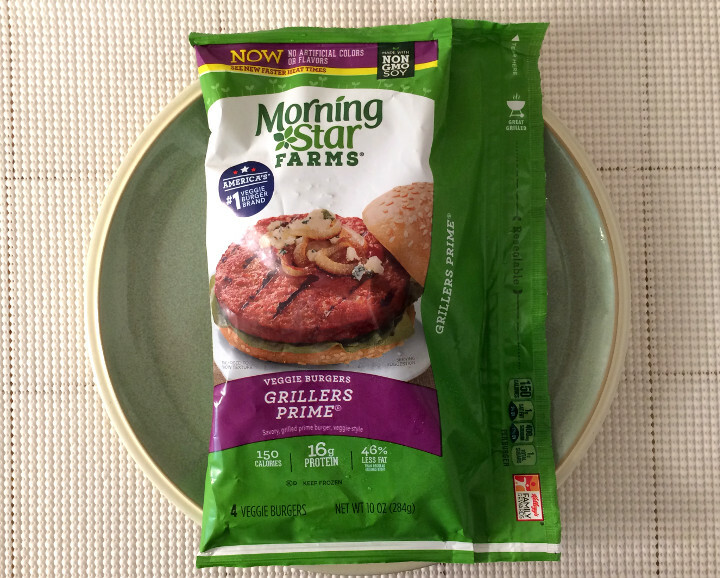 The Morningstar Farms Grillers Prime Veggie Burgers are a good pick if you’re looking for a vegetarian take on a traditional burger. 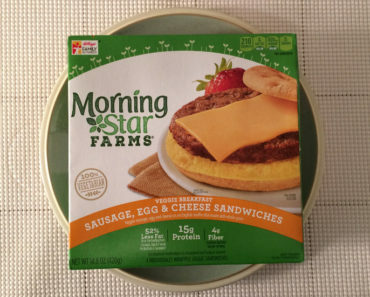 Are they the best burgers in America, as the package suggests? We’re not willing to say “yes” or “no” to that with any certainty, but we will say that these are very good. 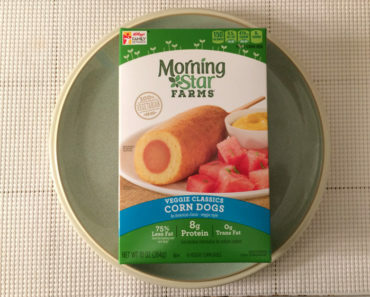 Definitely pack some of these for the next time you invite people over for some grilling — especially if those people are vegetarians. To learn more about the nutrition or ingredients found in these frozen veggie burgers, check out our package scan below.